Maybe you know that Koss has a lifetime guaranty but though that I live in Germany it takes some time and money to send it to the US. So I decided to replace it myself and be able to replace the original cable with a long lasting one. The first step is to remove the earphones from the rack. It's very easy because they are only clipped in. Put one finger between the rack and the phone and slowly pull to remove it. Notice some sort of glue patch between the connectors. DO NOT TRY TO REMOVE THIS GLUE as it protects two very small wires that take the signal from the connectors to the earphones on the other side. As in the picture one cable is not extra insulated this is in my case the ground. The other one carries the signal. Edit: The replacement cable in the pictures had problems... sadly. I think it was because of the long jack-plug. But I found some old apple In-Ear phones with a microphone and used that cable. Now I've got even a microphone on my koss Porta pro! nice to see this guide here. I actually used a cable from a headset with a microphone and a button) and now I love my Porta Pros more than ever! It's so comfortable to skip through the music without having to take out the phone. 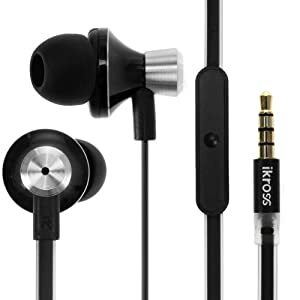 I live in the EU as well, but I got replacements from Koss for free and within a few days by contacting their local affiliate branch in my country. I would expect that you could do that as well in a lot of countries outside the US.